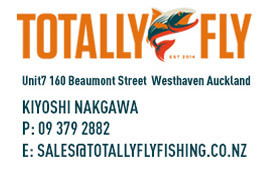 Sport Fly Fishing NZ is a not-for-profit organization aimed at promoting sports fly fishing in NZ, we run regional championship events throughout NZ mainly over the summer months from which anglers qualify for the NZ National Championships which are held on lake and river venues. From these national championships teams are selected to represent SFFNZ at either the world champs, Commonwealth champs or the Oceania championships. RESULTS: NZ Team Selection for 2020 Commonwealth Championships is based on this season overall results. Which combines the national point scores (x2) with the 2 best regional results from the regional rivers and regional lakes circuit. Congratulations to the top anglers from this season. Click for details (scroll to end). 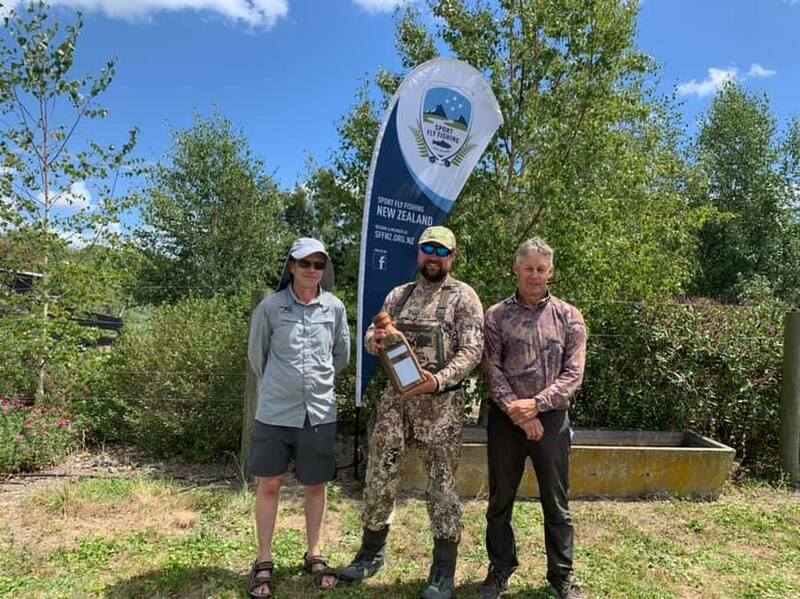 Results: The combined National River and National Lake Championship results were calculated and we have crowned our national champions Cory Scott at the recent Lake Kuratau event. This year Cory placed 1st at the River Champs, 1st Lake Champs and 1st Overall. This is also his x3 consecutive national champion title. A huge congratulations to Cory for these results and the dedication he has shown to the sport. The overall national championship place getters include Cory Scott 1st, Lloyd Struthers 2nd, Billy Thrupp 3rd, Johnny Bell 4th, Ollie Bassett 5th. Congratulations! For full results see the following link. 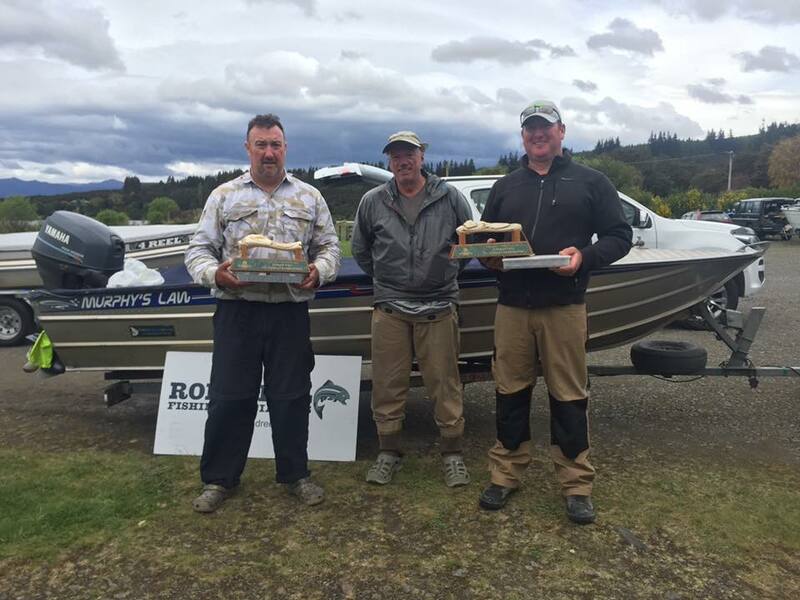 RESULTS: National Lake Championship 208/19 Season - 1st Cory Scott (Gisborne), 2nd Tim Anderson (Hamilton), and 3rd Lloyd Struthers (Hawkes Bay). 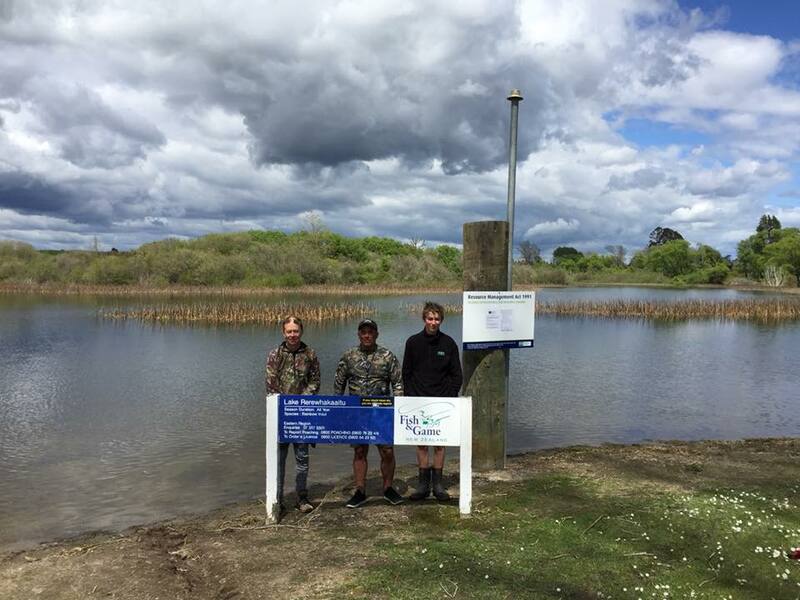 The venues were Lake Aniwhenua and Lake Kuratau, both venues required anglers to find fish in deeper areas with the tail end of the summer conditions (and in the case of Aniwhenua recent works on the lake) the regular hot spots weren't firing. 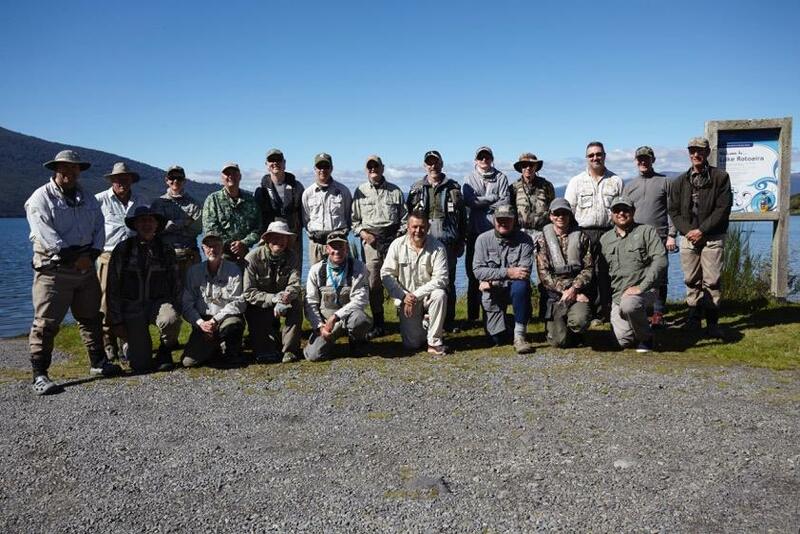 Thank you to our organising committee and scorers, the hydro companies and to Fish and Game NZ. For full results see the following link. 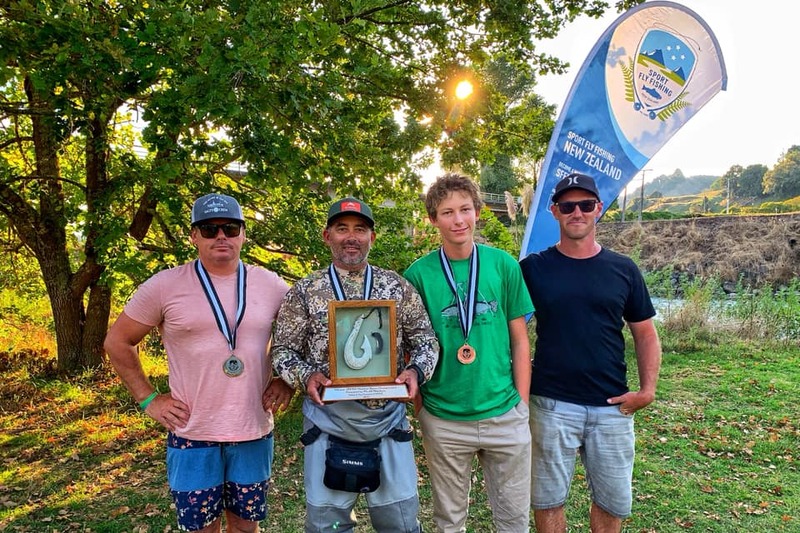 RESULTS: National River Championship 208/19 Season - 1st Cory Scott (Gisborne), 2nd Billy Thrupp (Waihi Beach), and 3rd Ollioe Bassett (Tauranga). 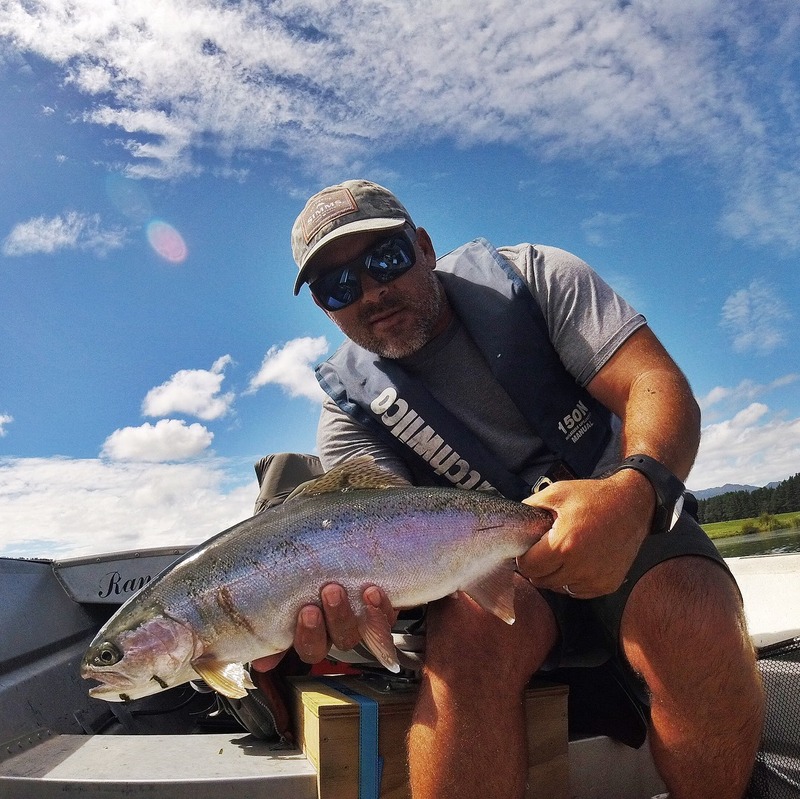 The Whanganui River did not disappoint, with some great fishing across all four 3 hr sessions. Those who got into larger fish in good numbers really did well and it was a close race at the top. Cory Scott dominated the champs and despite following a number of NZ team members was able to score well across all four session, congratulations. 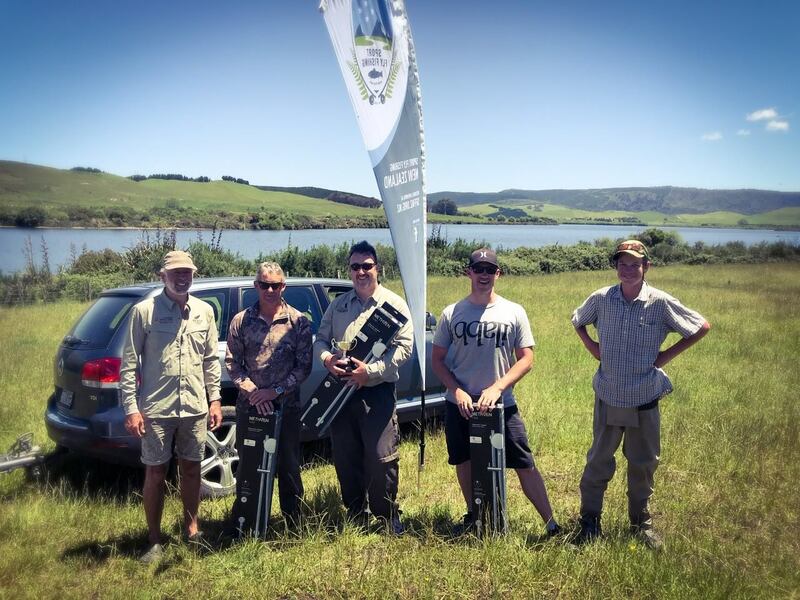 Thank you to our controllers, organising committee and scorers, and to Fish and Game NZ. This was a champs to remember. For full results see the following link. RESULTS: Check out this seasons round up of regional championship events on the Rivers and Lakes. 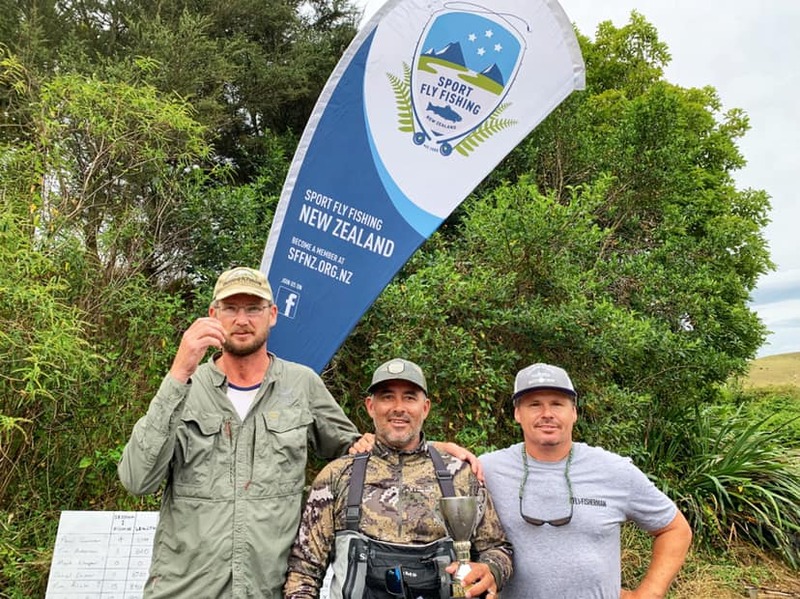 SFFNZ congratulates all the anglers who have made it through these events to qualify for the National River Championships and National Lake Championships. Tight lines! 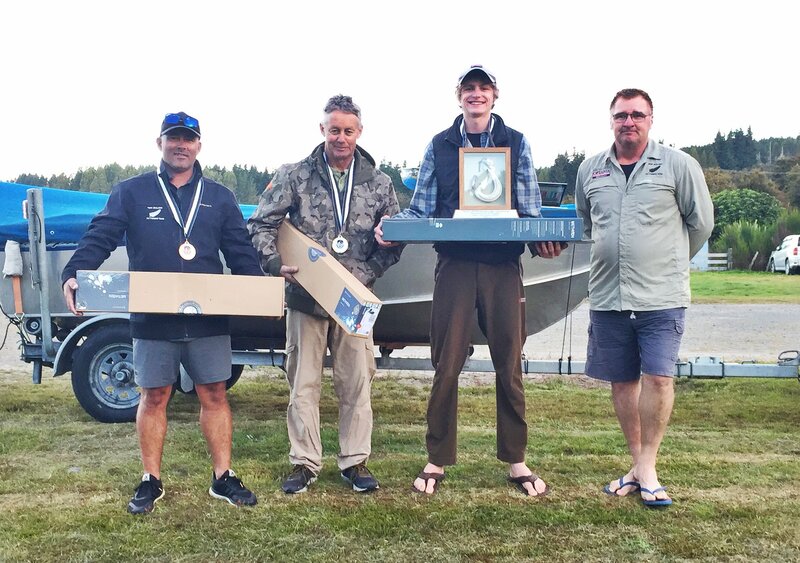 RESULTS: Rotorua Champs 2018/19 - The Rotorua championships 2018/2019 were held on the of 9th and 10th March on Lake Rerewhakaaitu. Congratulations to the place getters including Tim Anderson 1st, Tim Rich 2nd, Hugo Pearce 3rd. A special mention must go to young guns Hugo for placing and catching the biggest fish and Ollie Bassett for getting the highest session score. For the commentary and Full Results click for details. 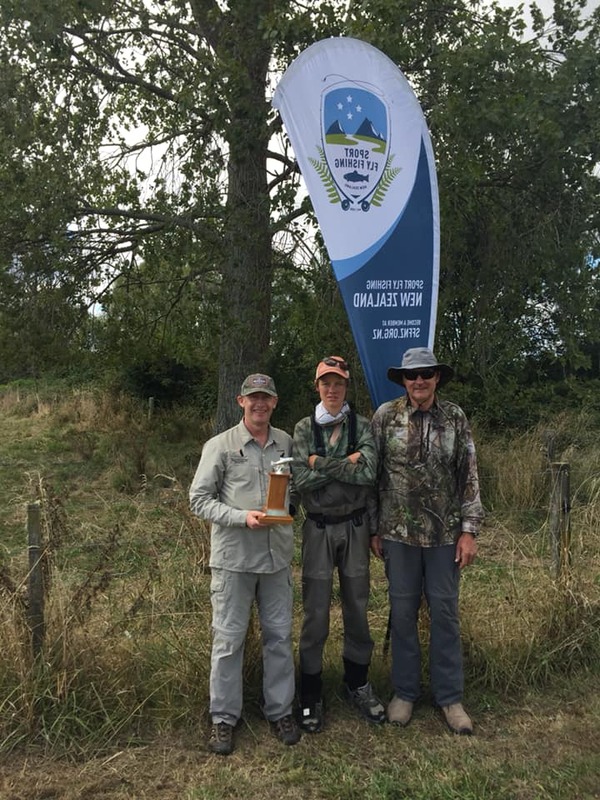 RESULTS: Tauranga Champs 2018/19 - The Tauranga championships 2018/2019 were held on the 23rd and 24th of February on the Waimakariri Steam at Putaruru. Congratulations to the place getters including Cory Scott 1st, Billy Thrupp 2nd, Dan Comer 3rd. A special mention must go to young guns who are firing this season, with Ollie Bassett 4th and Hugo Pearce 5th. For the commentary and Full Results click for details. 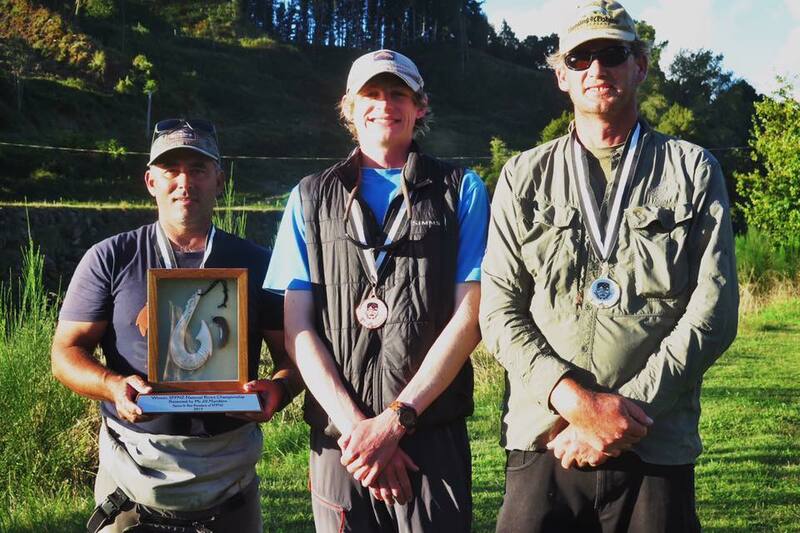 RESULTS: Hawkes Bay Champs 2018/19 - The Hawkes Bay championship 2018/2019 were held on the 9th & 10th March on the Tukituki River at Waipukurau. Congratulations to the place getters including Sam Bourne 1st, Mark Clasper 2nd, Lloyd Strutters 3rd. A special mention must go to young gun Ollie Bassett 4th, the young guns are firing this season. For the commentary and Full Results click for details. 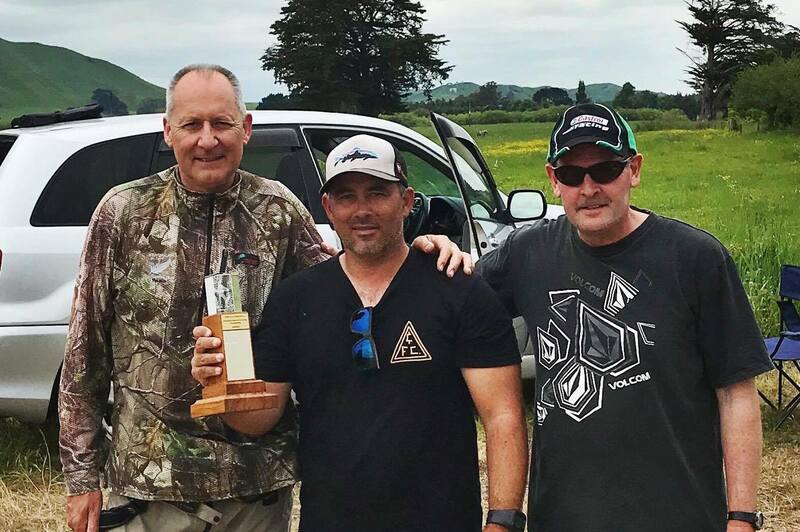 RESULTS: Hamilton Champs 2018/19 - The Hamilton Regional Champs were held on the Waihou River near Pataruru, on the 26th and 27th Jan. Congratulations to the place getters including Cory Scott 1st, Billy Thrupp 2nd, Gareth Godfrey 3rd. For the commentary and Full Results click for details. 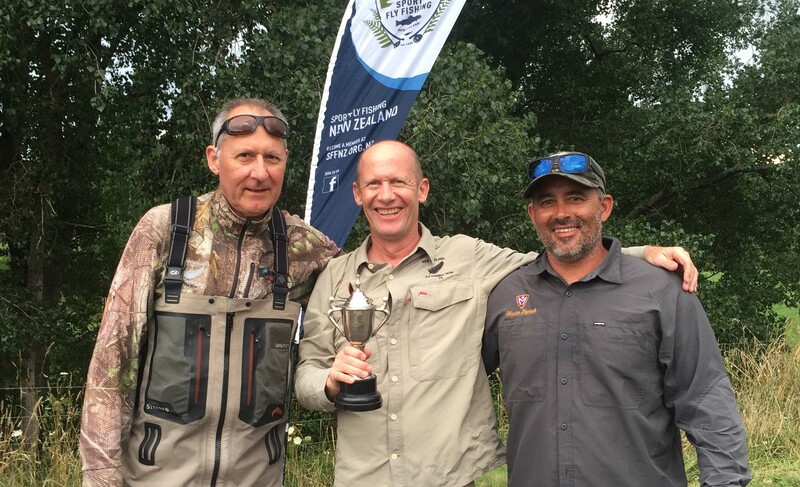 RESULTS: Wellington Champs 2018/19 - The Wellington Regional Championship 2018/19 were held 12th and 13th of January on the Ruamahanga River near Carterton. Congratulations to the place getters including 1st Place Lloyd Stutters of the Hawkes Bay, closely followed by Cory Scott 2nd from Gisborne. A special mention must go to first timers Harry Hunter and Reuben Robles who finished 3rd and 4th respectively, the young guns are firing this season. For the commentary and Full Results click for details. SFFNZ 2018/19 Rotorua Lake Champs. 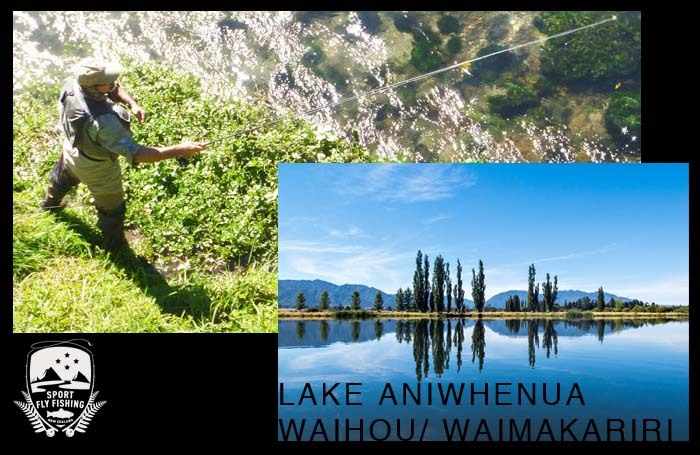 Coming up on the 9th and 10th of March on the Lake Aniwhenua. See link for entry, the venue closure dates and details of the champs click for details. SFFNZ 2018/19 Tauranga Champs. Coming up on the 23rd of February on the Waimakariri River. See link for entry, the venue closure dates and details of the champs click for details. SFFNZ 2018/19 Hawkes Bay Champs. Coming up on the 9th and 10th of February on the Tukituki River. See link for entry, the venue closure dates and details of the champs click for details. SFFNZ 2018/19 Hamilton Champs. Coming up on the 26th of January on the Waihou River. See link for entry, the venue closure dates and details of the champs click for details. SFFNZ 2018/19 Wellington Champs. Coming up on the 12th of January on the Ruamahanga River. See link for entry, the venue closure dates and details of the champs click for details. RESULTS: Taupo Champs 2018/19 - Full Results click for details. 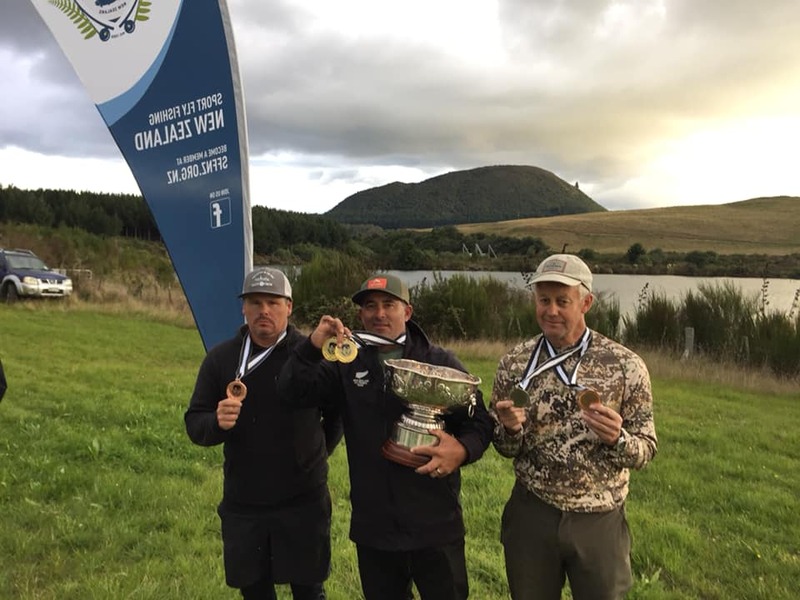 The Taupo championship 2018/2019 were held on Lake Kuratau on the 8th and 9th December 2018. On the day of the competition the lake was full and everybody was looking forward to some good sessions. The weather was kind too with a cloudy, sunny sky and a nice brise on the Saturday. On Sunday perhaps a little too kind with a bright sky and no wind. This made it a little harder for the 3rd session on Sunday morning. All in all a good number of fish were caught and a good time was had by the participants. Brendan Lyon and Lloyd Struthers had strong sessions on the first day and continued to do well into the third session. Were the field below changed somewhat during the sessions as the fish numbers varied in each session. Congratulations to the winners which are as follows: First place and the new Taupo Champion is Brendan Lyon, followed by second place Llyod Struthers and Gareth Godfrey in third place. A great result for our junior angler Hugo Pearce who took the the price for the biggest fish (54 cm) and came in 6th overall, well done. Our sponsors for the event were METHVEN TAPS and ROD and REEL tackle. The winners appreciate their new showers and their new equipment. Thank you for supporting SFFNZ. Thank you to Johannes Krill for organising this event! SFFNZ 2018/19 Taupo Champs. 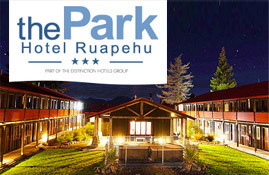 Coming up on the 8th -9th of December on the Lake Kuratau, Taupo. 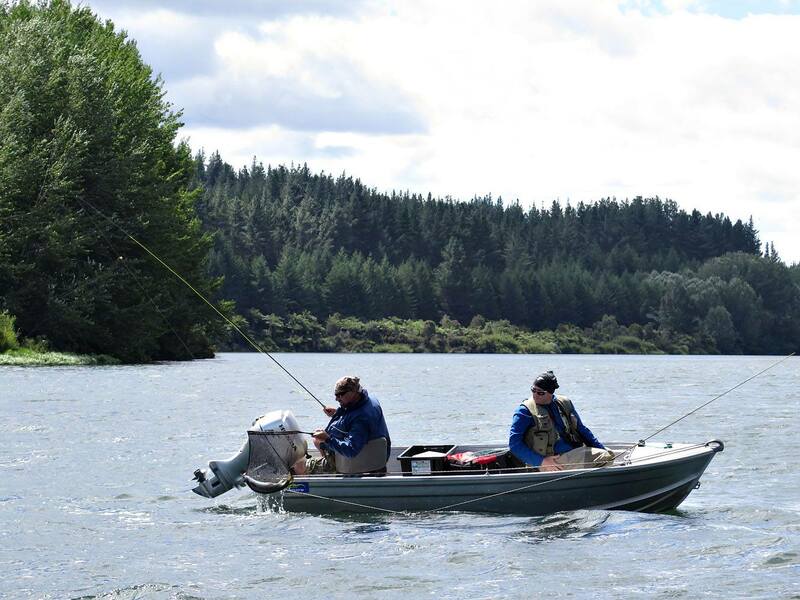 This hydro lake full of sticks is a fly fishing mecca for loch style anglers. See link for entry, the venue closure dates and details of the champs click for details. RESULTS: Manawatu Champs 2018/19 - Full results click for details. Held on the 24th-25th November the results of the river comp are as follows. A small muster of competitors took part, mostly due to lack of available controllers and NZ Team commitmnets. The weather was overcast at times with light breeze on Saturday with rising wind on Sunday. The Manawatu River level was low on Sat and about 100mm lower on Sunday. A close race and by the end on sessions one and two on Saturday 4 anglers were within one point of each other for the top placings. It took until the third session to sort a winner. Congratulations to Paul Gummer 1st, John Bell 2nd, Lloyd Struthers 3rd on countback over Brendon Lyon. Lloyd Struthers caught the biggest fish of 52cm. One of the highlights was the fabulous dinner cooked by Jeanette Anderson on Saturday night (thank you! ), and a great job done by Craig Anderson setting up and running the competition! We apologise for those unable to fish and note that no less than twelve controllers had to pull out at the last minute and were not available. Full Results coming soon. SFFNZ 2018/19 Manawatu Champs. Coming up on the 24th -25th of November on the Manawatu River. These champs are another highlight of the season with some great fishing and big fish. See link for entry, the venue closure dates and details of the champs click for details. RESULTS: National Pairs 2018/19 - Full Results click for details. The Pairs is a highlight of the annual comp calendar and this year was no exception another great comp (this year held on the 10th-11th November 2018). The weather played ball, light winds, sun and cloud. In total 30 competitors including a handful of first timers and juniors participated. 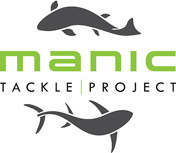 With some amazing prizes up for grabs from our mates at Manic Tackle Project, and Rod and Reel Tackle - a huge thank you for this support. Individual 1st Cory Scott, 2nd Lloyd Struthers, 3rd Tim Anderson. Brendon Lyon was leading up until the last session. The Pairs champion was taken out by Lloyd Struthers and Paul Gummer, 2nd Tim anderson and Dan Comer, 3rd Cory Scott and Gareth Godfrey. The biggest fish was 59cm landed by Joshua Hammond, best Junior Angler was Issac Hanlen, 2nd Joshua Hammond, 3rd Hugo Pearse. A huge thank you to the organisers and Craig! SFFNZ 2018/19 National Pairs. 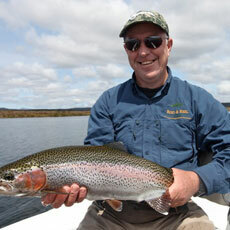 A highlight of the SFFNZ year is the National Pairs on Lake Rotoira. Team up and get your entries in. The champs will be held on the 10th-11th November 2018. A special licence is required for this venue. See link for entry, the venue closure dates and details of the champs click for details. RESULTS: Auckland Champs 2018 kicked off this seasons regional river champs, on the Ohinemuri River. Congratulations to Sam Bourne 1st, Billy Thrup 2nd and Tim Anderson 3rd. The river was very low and clear. Some great numbers came to the net with a top score session 1 of 13 fish by Cory Scott. Billy Thrupp got the biggest fish a 480mm brown trout. Special thanks to Billy and his support crew Tim for marking beats and organising the champs. Thank you to all the controllers who gave up their day to make this event happen! Click for Full Results. 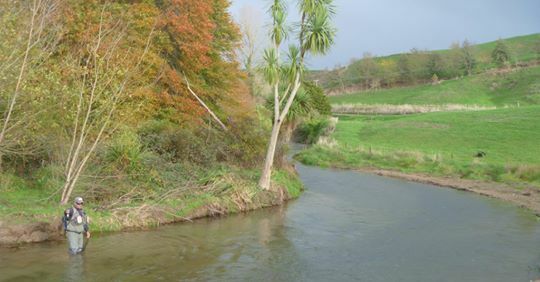 SFFNZ 2018/19 Auckland Champs will be the first river champs of this season, held on the Ohinmuri River at the base of the Coromandel Peninsula. The event will be held on the 27th October 2018. See link for entry, the venue closure dates and details of the champs click for details. RESULTS: - Full Results click for details. Bay of Plenty Champs 2018... 1st place Cory Scott, 2nd Place Mark Clasper, 3rd Place Ollie Bassett (one of the young guns development squad). Biggest fish Craig Gutry 60cm! The champs were a game of two half’s with snow on nearby Mt Tarawera and a freezing cold wind session 1 and 2 and balmy sunny conditions session 3. 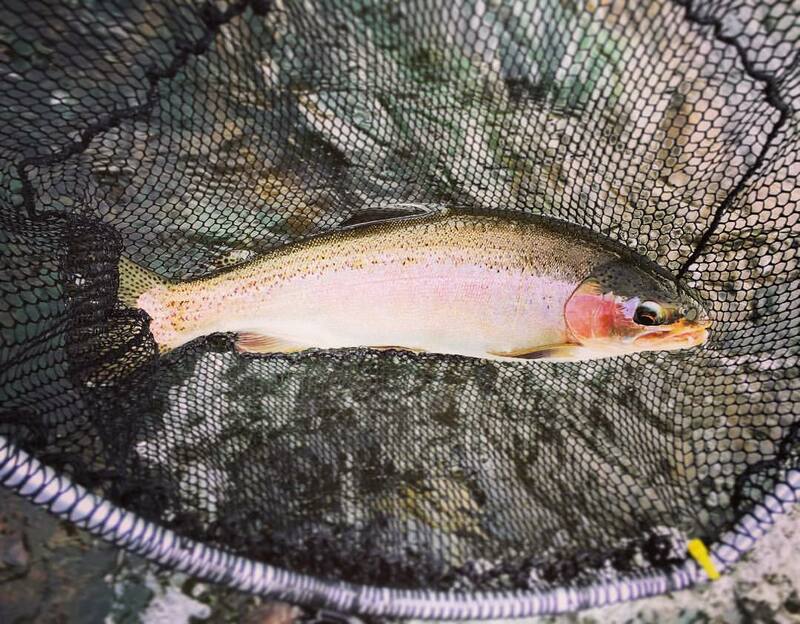 Those that put in the effort to cover the water and find the fish were rewarded with some chunky hard fighting rainbow trout. Thank you to Tim Anderson and Mark Clasper for organising this great champs and to Johnny Bell for scoring. SFFNZ 2018/19 Bay of Plenty Champs with the Waikato Regional Lake Champs done and dusted it is now time for the BOP Champs on Lake Rerewhakaaitu. To be held on the 13-14 October 2018. See link for entry, the venue closure dates and details of the champs click for details. RESULTS: - Full Results click for details. 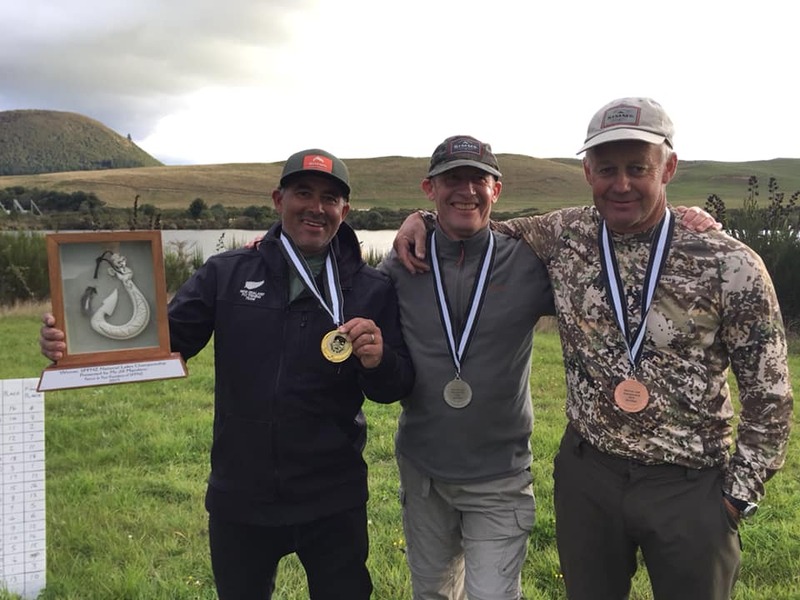 The first champs of the season kicked off on Lake Maraetai, with the Waikato Champs 2018... 1st place Tim Rich, 2nd Place Gareth Godfrey, 3rd Place Tim Anderson. Biggest fish Tim Rich 64cm brown trout. Wow! 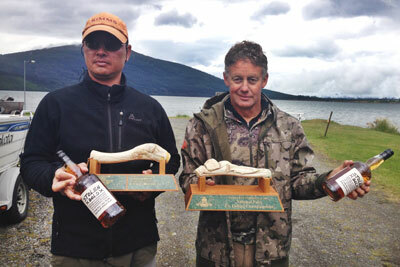 The champs were hard fought with even top NZ anglers getting a blank. 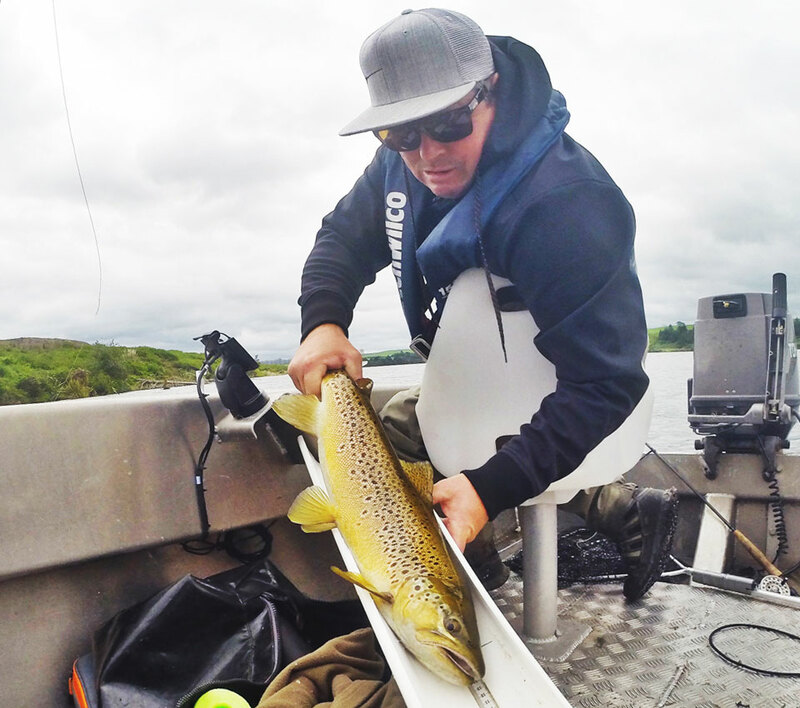 Those who covered the water and found the fish were rewarded with big brown trout, and the occasional hard fighting rainbow. Thank you to Chris Young for organising this great champs and to those that assisted with the scoring. 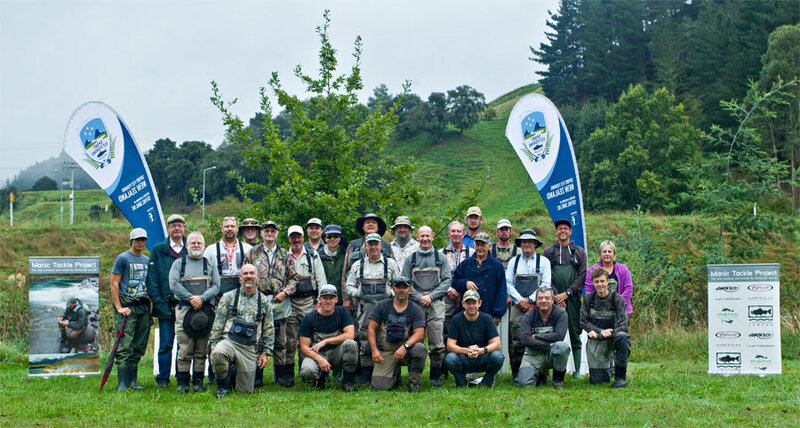 SFFNZ 2018/19 Season kicks off with the Waikato Regional Lake Champs on Lake Maraetai at Mangakino on the 29th and 30th of September. This lake event is a highlight each year as the season starter. See link for entry, the venue closure dates and details of the champs click for details. NEWS: The 2018/19 season ahead. Full 2018/19 Season Schedule Available now at click for details. Thanks to Chris Young and the SFFNZ Committee we have a full season ready to roll. See details and look out for updates and events coming soon. Kicking off the the Waikato Champs on Lake Maraetai. NEWS: NZ Silverflies Team selection for WFFC Tasmania 2019. 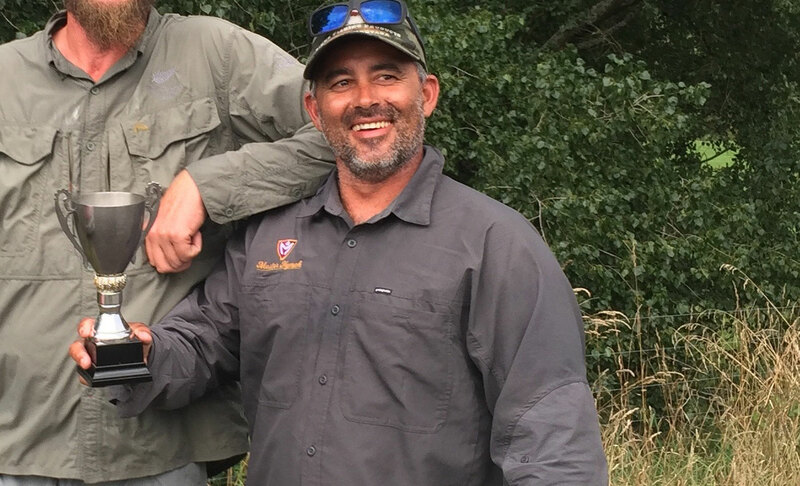 Following the appointment of Tony Houpt as captain, the SFFNZ Committee and selection panel would like to congratulate the NZ flyfishing team members selected. Peter Scott (SFFNZ President) says "the team will be one of the most balanced we have put forward for a number of years, we have put up a combination of experience and young talent, well done to those selected". The team will comprise the following: Tony Houpt (Captain), Cory Scott, Lloyd Struthers, John Gummer, Johnny Bell, Sam Bourne, and Tim Anderson (Reserve). Visit the teams profiles at click for details and see www.wffc2019.com for details on the champs, keep an eye out on our Facebook page for team training and events leading up to the champs in 2019. 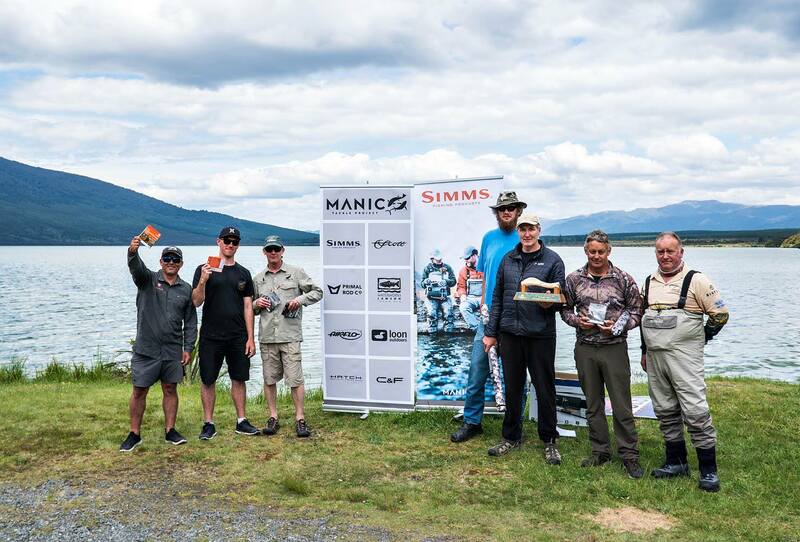 NEWS: Applications for NZ Silver Flies Team captain: World Fly Fishing Championships in Tasmania 2019 - Before the process of selecting a team to attend the Tasmania WFFC in early December 2019 can begin (under SFFNZ rules) we need to appoint a team captain who will take part in the selection process. If you are interested in becoming the NZ team captain for this contest please reply to SFFNZ at support@sffnz.org.nz before the end of this month (31st May 18). 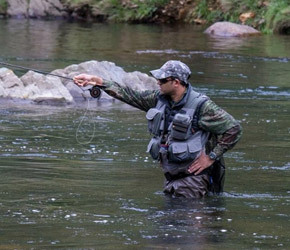 The team captain will be responsible for a diverse range of tasks including but not limited to: initial team selection as part of the selection panel, organising team practices, event accommodation, event transport, boats and guides before the event, team uniforms, attending captains meetings during the event and supporting the competing anglers. Your application should detail organisational ability and include any previous experience with managing high performing teams, people and /or previous team captain experience. 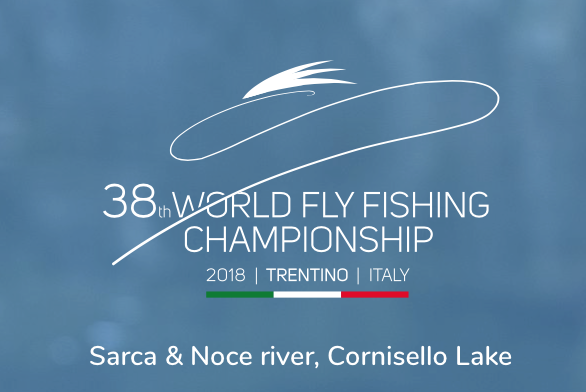 NEWS: World Fly Fishing Champs 2018 Italy. 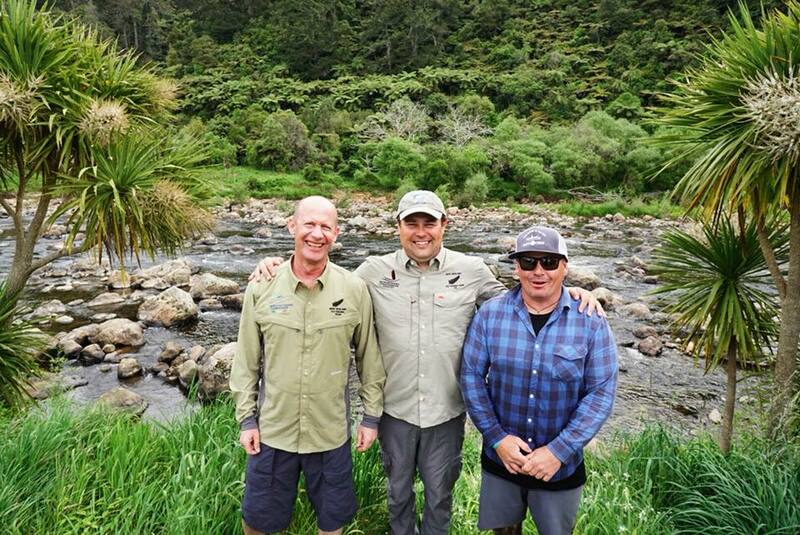 SFFNZ are proud to announce the New Zealand fly fishing team to tour Italy in 2018. 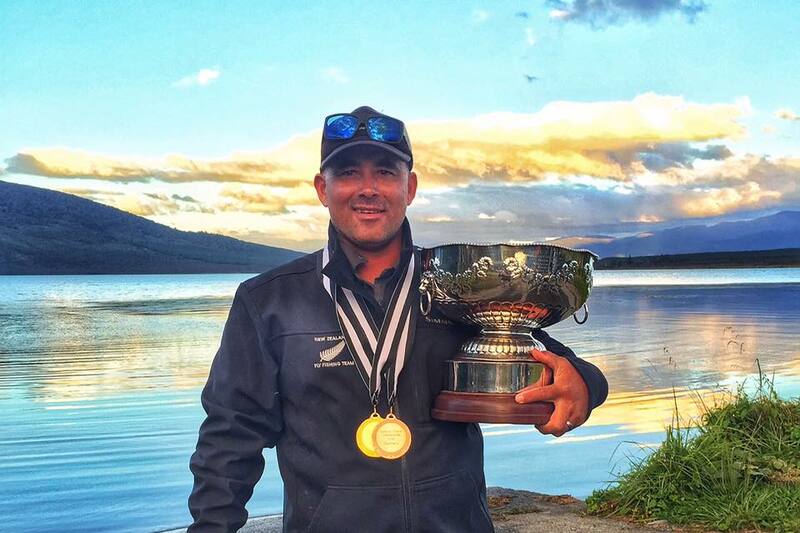 "We have made a commitment to get as many anglers as possible to WFFC events in recent years ahead of the WFFC switching to the world champs every two years" SFFNZ President Peter Scott says "its great to see a number of our seasoned anglers getting world champs experience, this can only be good for the sport, when they bring this experience back to NZ". The team comprises Captain Tadek Gawor, Brendan Lyon, Johannes Krill, Mark Clasper, Paul Baker and Tim Anderson. Visit the teams profiles at click for details and see www.wffc2018.com for details on the champs, keep an eye out on our Facebook page for team training and events leading up to this years champs. 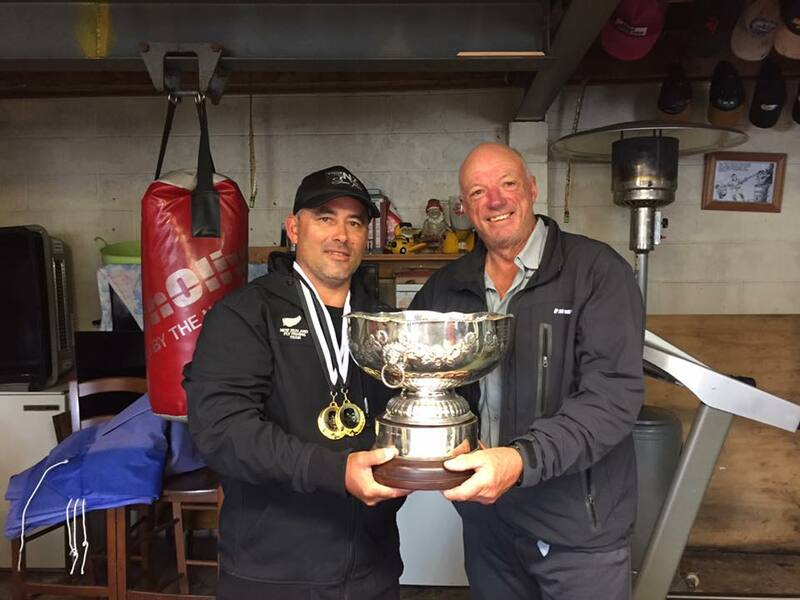 Results: NZ Lake Nationals Results out now! Another epic event on a world class venue, check out who's who on the podium and a run down of this event the last of the 2017/18 season click for details. Lake Nationals: coming soon...as the anglers battle it out against this great fishery. The art of loch style fishing will be on show, check out all the details at - click for details. 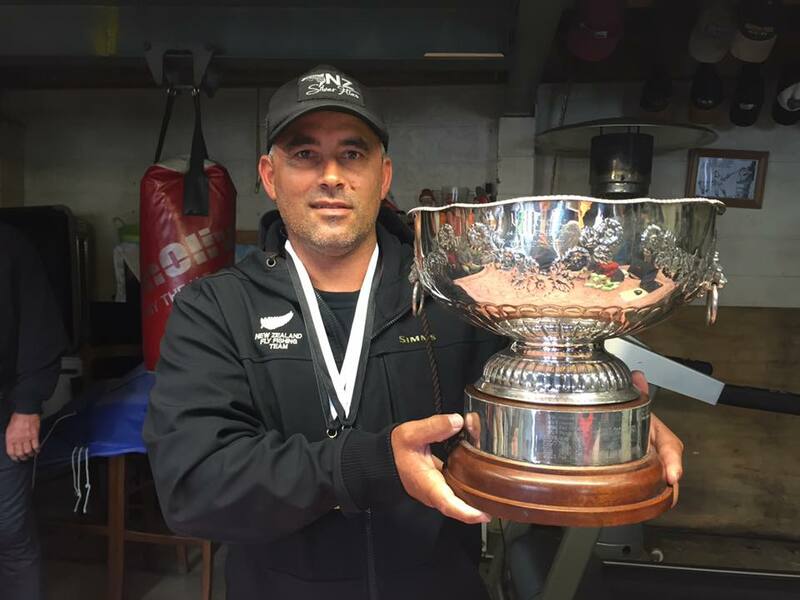 Results: NZ River Nationals Results out now! The culmination of the seasons river and stream events is the nationals, get the low down and full commentary at - click for details. Results: The Rotorua Championship 2018 - Cory Scott 1st place, followed by father of Young Gun Paul Gummer 2nd and John Rumpf 3rd! See a summary of the event and full results on the Champs click for details, and also the points breakdown after the lake events so far this season click for details. River Nationals: coming soon. The Whanganui River (urban beats) are the setting for this great event, be part of the action and check out the details at - click for details. 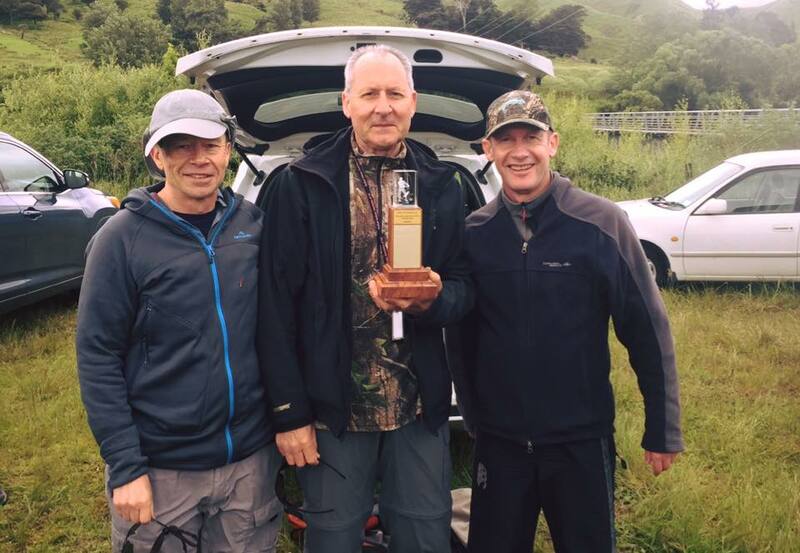 Results: The Hawkes Bay Championship 2018 - Local Lloyd Struthers 1st place, followed by Young Gun John Gummer 2nd and Mark Clasper 3rd! 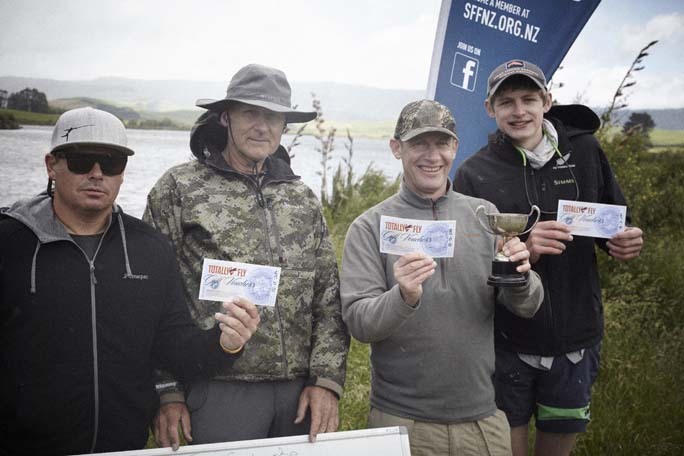 SFFNZ Competition statistics help support awareness around the Tukituki. See a summary of the event and full results on the Champs click for details, and also the points breakdown after the river events so far this season click for details. Results: The Tauranga Championship 2018 - Current NZ Champion Cory Scott takes out 1st place, followed by Garth Plank 2nd and youth development squad member Tarn Mack-McEwen 3rd! See a summary of the event and full results on the Champs click for details. 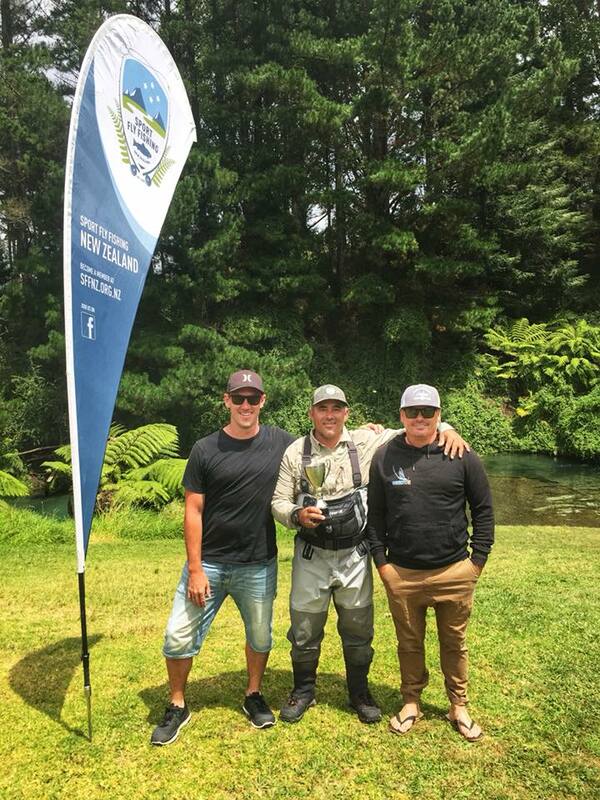 Results: The Northshore Championship 2018 - Local Moo Loo and NZ Team Angler Tim Anderson takes out 1st Place, followed by Cory Scott 2nd and Tim Rich 3rd! See a summary of the event and full results on the Champs click for details. Next event Hamilton Champs 17th & 18th February - The Hamilton Champs venue is currently being reviewed following a notice from F&G, check out the full details, closure dates, contact details and online entry form at. We hope to have full details up ASAP, the new venue will be the Oraka Stream - click for details. 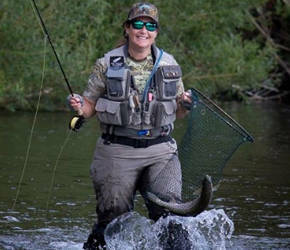 Next event Hawkes Bay Champs 3rd & 4th February - The Hawkes Bay Champs are to be held on the Tukituki River, check out the full details, closure dates, contact details and online entry form at - click for details. North shore and Tauranga Champs 27th & 28th January 2018 - back to back: The Northshore Champs are now to be held on the 27th Jan on the Waihou River - enter now!! !, check out the full details, closure dates, contact details and online entry form at - click for details. The Tauranga Champs will be held the following day, on the 28th Jan on the Waimakariri River - enter now!! !, check out the full details, closure dates, contact details and online entry form at - click for details. Wellington Champs 13th January 2018: The Wellington Champs on the Ruamahunga River - enter now!! !, check out the full details, closure dates, contact details and online entry form at - click for details. 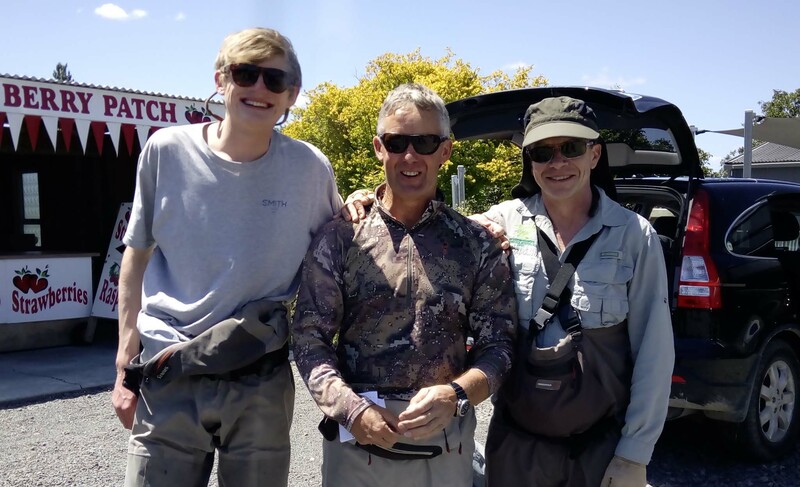 Results: The Manawatu Regional Championship 2017 - Two former champions face off on this great river, success for Cory Scott 1st, followed by Craig Anderson 2nd and Tim Rich 3rd! See a summary of the event and full results on the Champs click for details and also the points breakdown after two River events click for details. 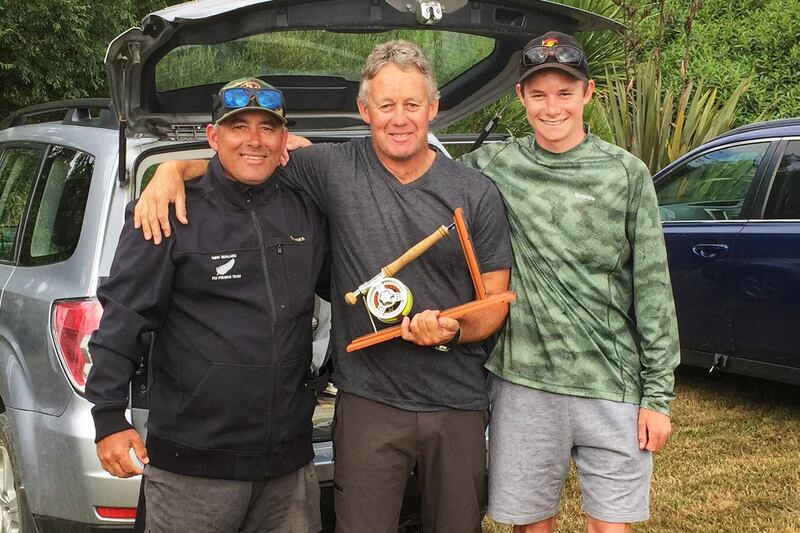 Taupo Champs 9th-10th December: The Taupo Champs on Lake Kuratau are coming up soon - enter now, check out the full details, closure dates, contact details and online entry form at - click for details. Manawatu Champs 25th-26th November: The Manawatu Champs on the Manawatu River are coming up soon - enter now, check out the full details, closure dates, contact details and online entry form at - click for details. North Shore Champs 19th November POSTPONED: The North Shore river champs are postponed - click for details. The champs will be rescheduled to a new date, and we still plan for these to be held on the Puniu River in the south Waikato. This date will be modified from the original calendar. 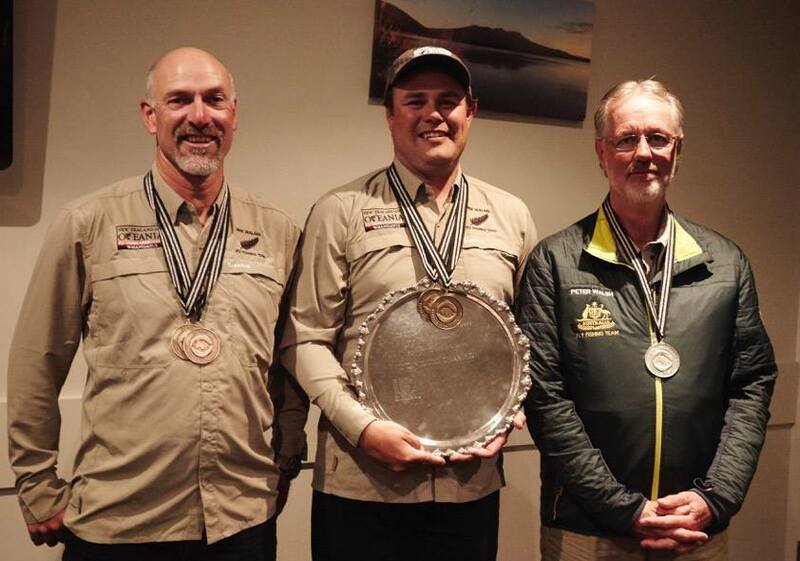 Results: The National Pairs Champs on Lake Rotoira - success for Brendon Lyon and Nick Lyon! Individual honours go to 1st Place Lloyd Structher of the Hawkes Bay. See full results click for details on the Champs and also the points breakdown after three Lake events click for details. 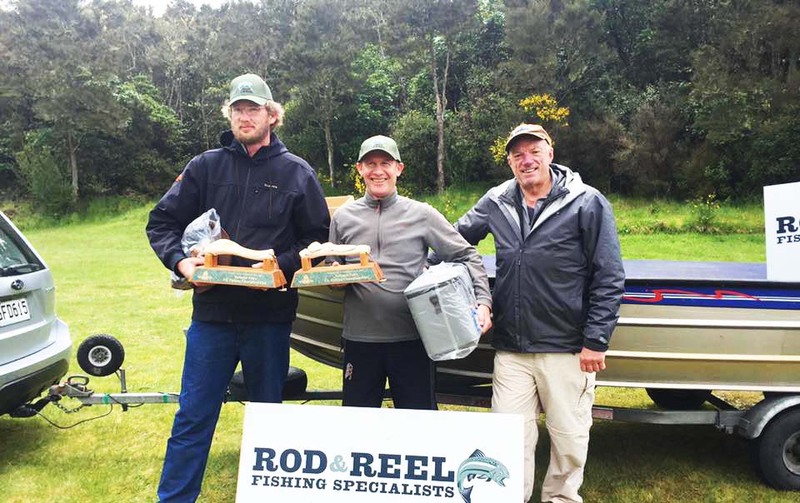 RESULTS: Auckland Champs success for Gisborne Angler Cory Scott 1st, followed by Garth Plank 2nd and Sam Bourne 3rd click for details. National Pairs Champs 4th & 5th November: The National Pairs are coming up soon - enter now, check out the full details, closure dates, contact details and online entry form at - click for details. The champs are proudly supported by Rod and Reel Tackle! 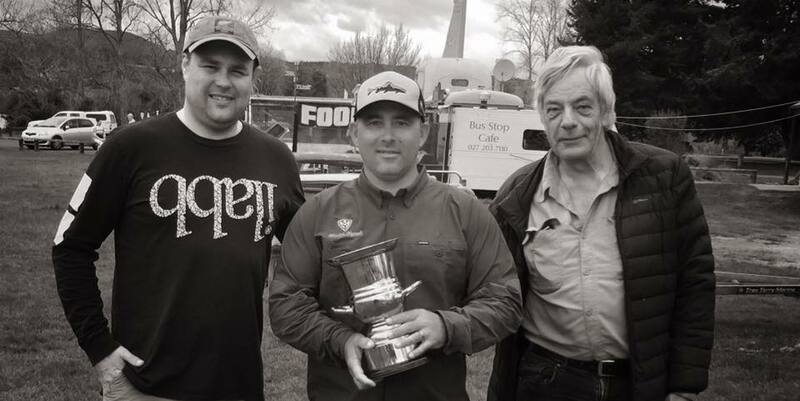 RESULTS: BOP Lake Champs success for North Shore Angler Johnny Bell 1st, followed by Brendon Lyon 2nd and Dan Comer 3rd click for details. Auckland Champs 21st October: The Auckland Champs on the Ohinemuri River are coming up soon - enter now, check out the full details, closure dates, contact details and online entry form at - click for details. With much sadness we offer our condolences to the family and friends of John Murphy on his passing. 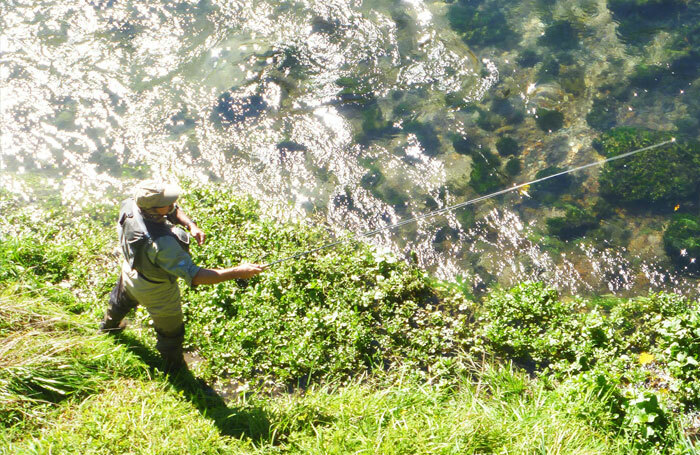 John was an integral part of SFFNZ family having represented NZ in 11 Fly Fishing Championships. 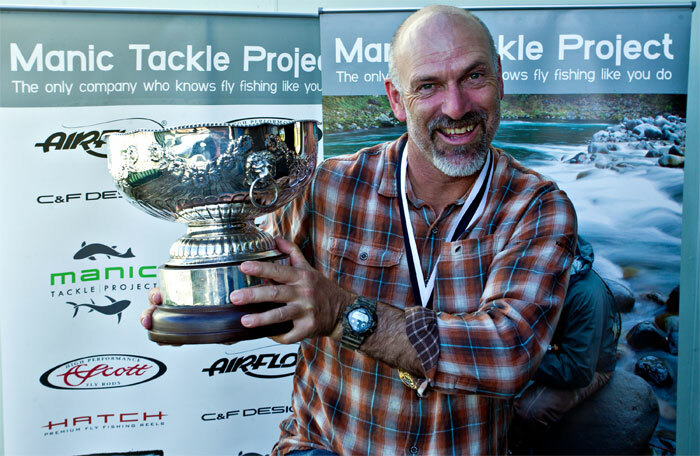 One of our top anglers John placed in the top 20 at the 1998 World Fly Fishing Champs, was Captain of a Silver medal winning NZ team at the Commonwealth champs in 1999, and he was the first NZ representative at a Salt fly international in the USA. 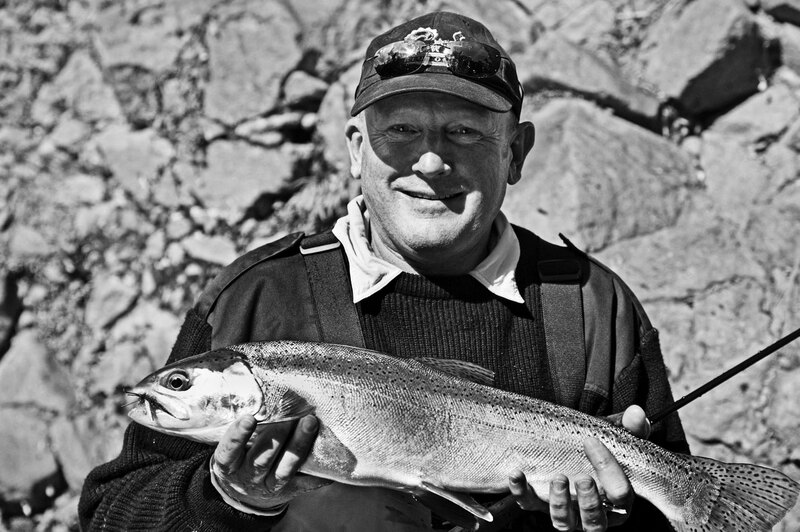 As well as his fishing skills John was a Contributor to the wider industry and fly fishing scene having been published in NZ best trout flies (book), as a regular contributor to Fishing News, and Fly Fishing NZ (pocket book) with Neil Castles. RIP John, may your lines be tight on the other side mate. 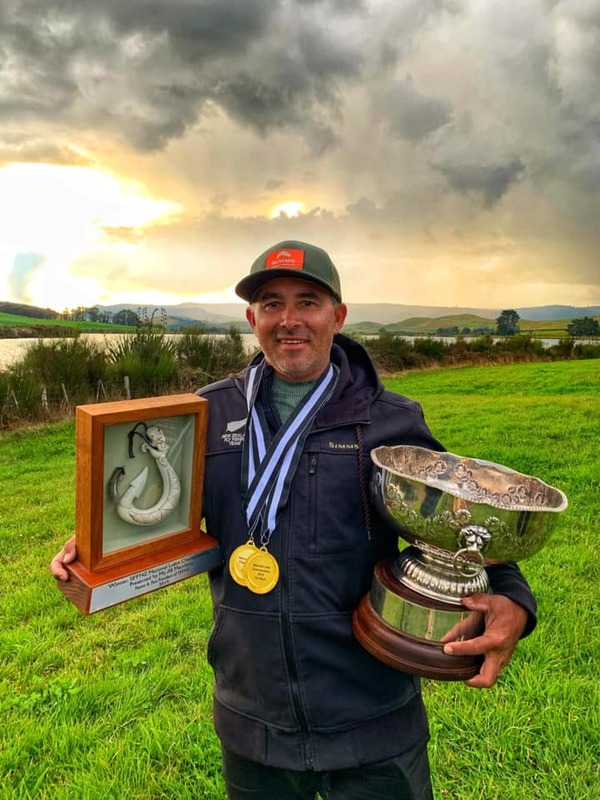 RESULTS: Waikato Champs success for Gisborne's Cory Scott 1st, podium packed with NZ & Australian international anglers click for details. 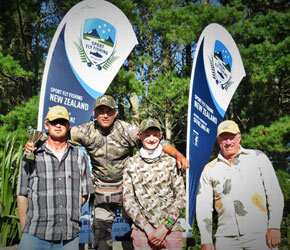 NZ Youth Development Squad: SFFNZ are proud to introduce some of the top youth anglers around click for details. Keep an eye out for the young guns and development team this season. Dates set for 2017/18 Season: Check out the latest updates for the 2017/18 season ahead click for details. The first event of the season is the Waikato Champs on Lake Maraetai, check out the full details, closure dates, contact details and online entry form at - click for details. Next up is the Bay of Plenty Champs on Lake Rerewhakaaitu, check out the full details, closure dates, contact details and online entry form at - click for details. 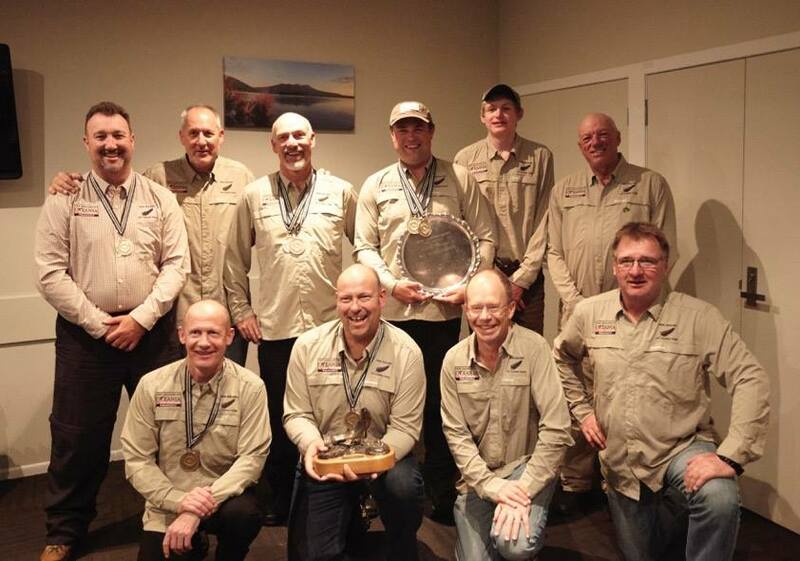 WFFC 2017 Slovakia: Meet the NZ Silver Flies (NZ Fly Fishing Team) heading to Slovakia this August to compete the the World Fly Fishing Champs click for details. FIPS-Mouche Technical Commission: A massive congratulations to our very own Paul Dewar on his election to the International governing body FIPS-Mouche Technical Commission. 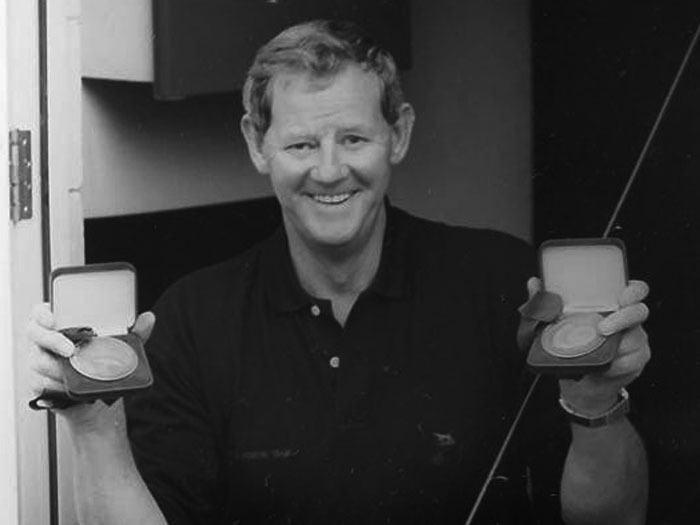 Paul has captained the NZ Team to many World Championships. This will be a great opportunity for this part of the world to be represented at a this level in a sport dominated by the European nations. Top effort Paul! NATIONAL CHAMPIONSHIPS 2016/17: After a rain effected postponement the event was held. New champions crowned for the NZ National Champs - Lake Champ, River Champ and Overall National Champ. For full results, and scores click for details. OCEANIA CHAMPIONSHIPS 2017: NZ Team win at Oceania Championships. 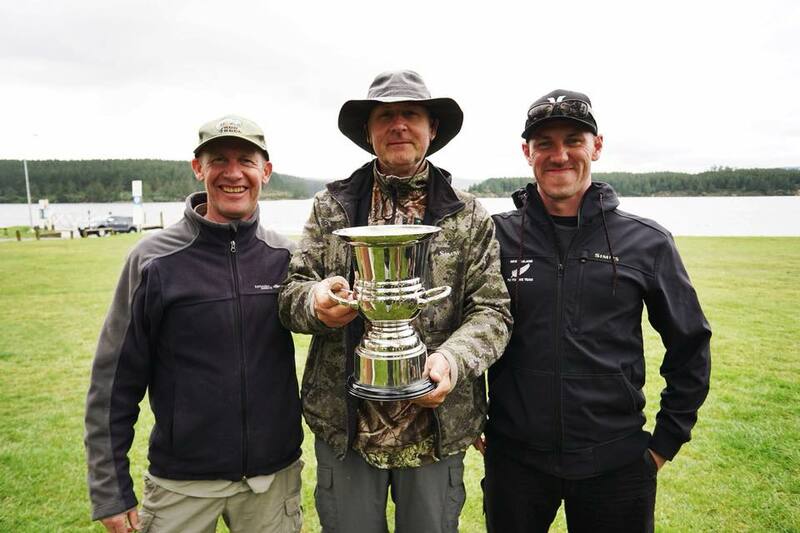 The ANZAC spirit is alive and well in a hotly contested event on some of New Zealand's best loch style fly fishing lake click for details. Kicking off in early Feb 2017 was the Hawkes Bay Regional Champs 2016! 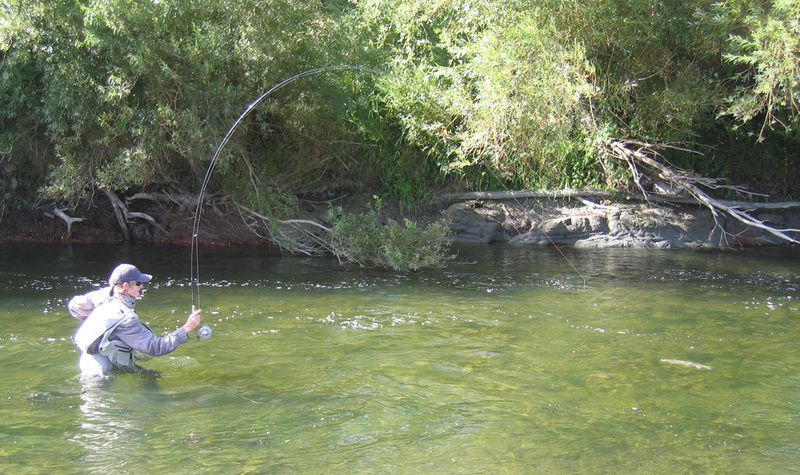 The regional will be held on Tukituki River. For full results, and scores click for details. We have been notified by the organiser that this event is now cancelled. Kicking off in early February 2017 will be the Wellington Regional Champs! 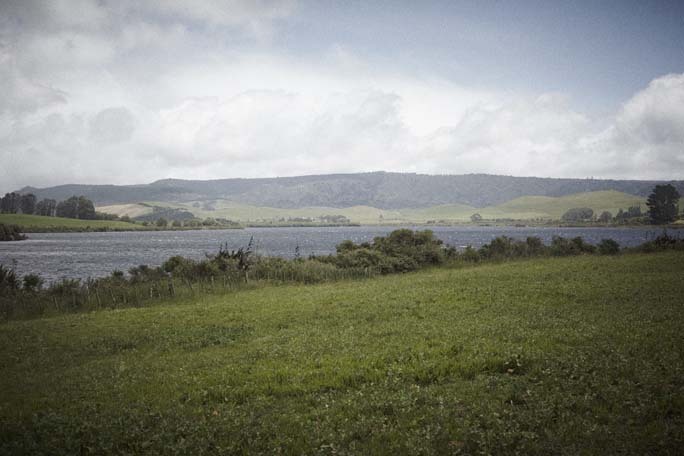 The regional will be held on the 18th of February on the Ruamahanga River. For all information, and entry form click for details. Kicking off in early February 2017 was the Hawkes Bay Regional Champs! The regional will be held on the 4th and 5th of February on the Tukituki River. For all information, and entry form click for details. Kicking off in early December 2016 was the Totally Fly Taupo Regional Champs 2016! 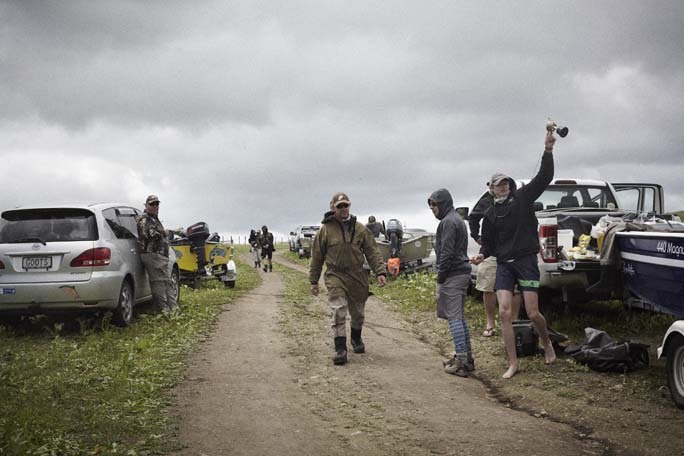 The regional will be held on the 10th and 11th of December on Lake Kuratau. For full results, report and scores click for details. Kicking off in November 2016 is the Manawatu Regional Champs 2016! For full results…Click for entry details. SFFNZ would like to congratulate the winners Tim Rich 1st, Mark Clasper 2nd and Tim Anderson 3rd. 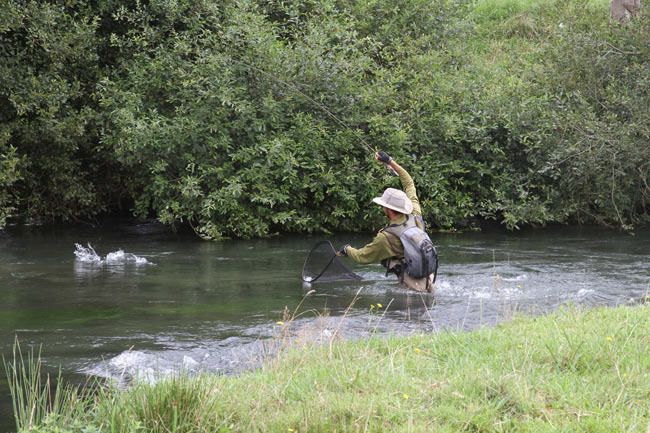 The regional will be held on the 26th and 27th of November on the Manawatu River. The National Pairs weekend went off. The weather held and anglers were able to fish both the top and bottom of the lake across the sessions. Special thanks to the organisers (Tim, Lloyd and Billy). 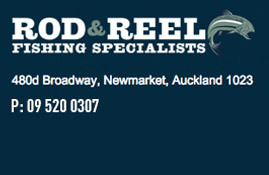 SFFNZ also acknowledge our prize sponsors Rod&Reel Tackle and the Park for hosting us. This year the National Pairs title was taken out by Tim Anderson and Dan Comer. For full results and scores click for details. Pairs title - Dan and Tim 1st (Pictured below with Peter Scott), John and Tarn 2nd, Billy and Tim 3rd. Biggest Fish - John Bell 59cm! 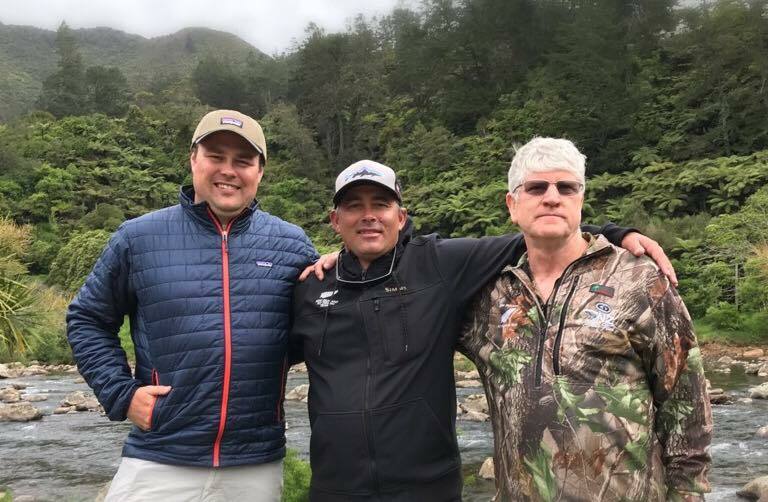 Follow the team on Sport Fly Fishing NZ Facebook page, or read the Captain Reports from Neil Hirtzel (Commonwealth Captain) - click for details, and Paul Dewar (World Team Captain) - click for details. Check out the World Champs webpage, download the App and follow the teams. With much sadness we offer our condolences to the family and friends of Pat O'Keefe on his passing. 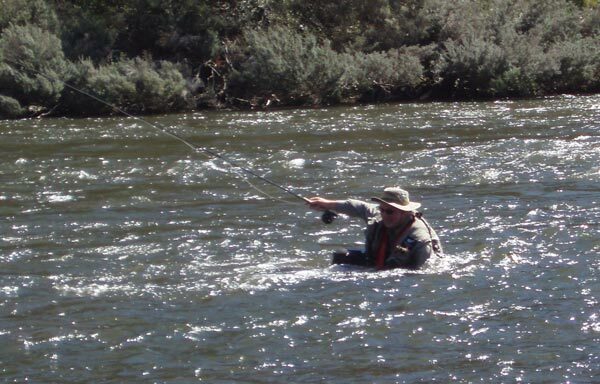 Pat was an integral part of SFFNZ in the early years and represented us in five World Fly Fishing Championships, winning bronze in 1999 in Australia, as well as the Oceania Championships in 96. Pat also worked in the trout fishing industry as a shop owner and a guide. 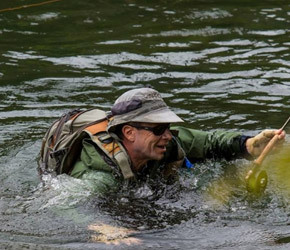 He was a much loved and respected member of the NZ Trout fishing fraternity. RIP Pat, may your lines be tight on the other side. SFFNZ Committee meeting in May 2016, keep in touch and see the full meeting minutes attached Click for details.